CLINTON, S.C. (Seminoles.com) – The Florida State Men’s Golf team got itself off to a strong start in the first round of the ACC Championship, shooting a 10-under 278 to sit one stroke off the lead at Musgrove Mill Golf Club in Clinton, S.C. The Seminoles trail only Duke, which shot 11-under on the first day. 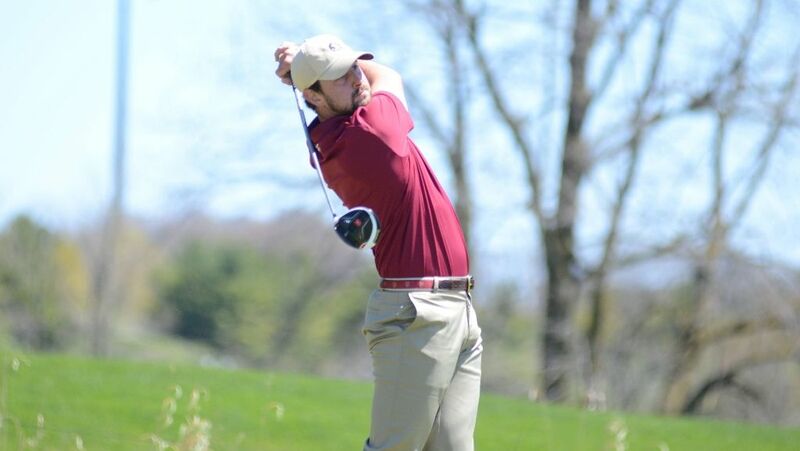 Leading FSU is redshirt senior Cristobal Del Solar, who is tied for second place with a 5-under 67. Redshirt junior Harry Ellis is tied for fourth shooting 4-under in his first ACC Championship appearance. Behind Duke and FSU is Clemson (-9), Georgia Tech (Even) and NC State (+3) in the Top five. Del Solar proved once again why is deemed one of the top collegiate golfers in the nation, playing nearly bogey-free golf. The native of Chile and returning All-ACC golfer delivered six birdies and shot a 33 on the back nine. His 5-under showing on Friday is tied for his third-lowest round of the season, only eclipsed by a pair of 65s. “Cris did what an All-American does and led the team out of the gate,” Jones added. Ellis’ career year continues as he led the Seminoles with seven birdies. The England native and Arnold Palmer Cup selection helped FSU from the start, carding a 33 on the front nine before finishing up with a solid 35 on the back nine. “Harry is capable of doing that on any day and on any course,” Jones said with approval. One of the X-factors for the Seminoles has been sophomore Bennett Baker, who is tied for 12th with a 2-under 70. Like Ellis, the Tallahassee native was aided by a quick start when he shot 34 on the front nine. Four of the last five rounds played by Baker have been under par. Senior Josh Lee played a huge role in helping FSU move up the team leaderboard. The senior from Orange Park, Fla., shot a 5-over 41 on the front nine, including five bogeys in his first nine holes. But the senior leader turned things around dramatically, carding a 4-under 32 on the back nine to finish 1-over (75) on the day. Redshirt freshman Jonathan Keppler added a 7-over 79 on Friday. Shortly after Friday’s first round ended, the ACC announced that the schedule for the rest of the conference championship has been altered. Due to inclement weather expected Sunday, the second and third rounds will now be held on Saturday with play getting underway at 7:30 a.m. The second and third rounds will be played continuously utilizing split tee starts, and groups will not be repaired after the second round. FSU tees off at 8:30 a.m. with Keppler, followed by Lee (8:42 a.m.), Baker (8:54 a.m.), Ellis (9:06 a.m.) and Del Solar (9:18 a.m.). Live coverage of the finale of both the second and third rounds on Saturday will be shown on the ACC Network Extra. Live stats will once again be shown on Golfstat.com.